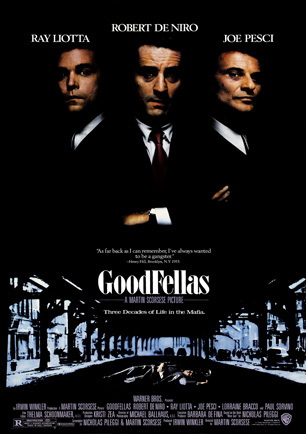 Netflix says… Joe Pesci and Robert De Niro chew plenty of scenery, but the focus of this gripping Martin Scorsese opus is real-world mobster Henry Hill (Ray Liotta), a gangster who dreamed of making it big but landed in the Witness Protection Program instead. Nominated for six Oscars (including Best Picture), the film’s only win was Pesci’s Best Supporting Actor statue for his scene-stealing portrayal of ticking time bomb Tommy DeVito. Violent. Gritty. Based on true events. I read somewhere that the F-bomb is dropped more than 300 times. I’m pretty sure 250 of those came from Joe Pesci. I actually watched this a few years ago and I was glad I did. It prepared me for Community‘s mafia movie tribute episode from their first season. I actually haven’t seen too many gangster movies. I’ve seen all the Godfather films, but that genre just isn’t my cup of tea. So, I thought this movie was pretty good, but it wouldn’t land in my personal top 100.